Last weekend I popped into Lush to buy a few goodies as I hadn't bought anything from there for a while so I thought I'd show you my purchases. First up, I fancied some shampoo and couldn't decide what to buy so I bought two! 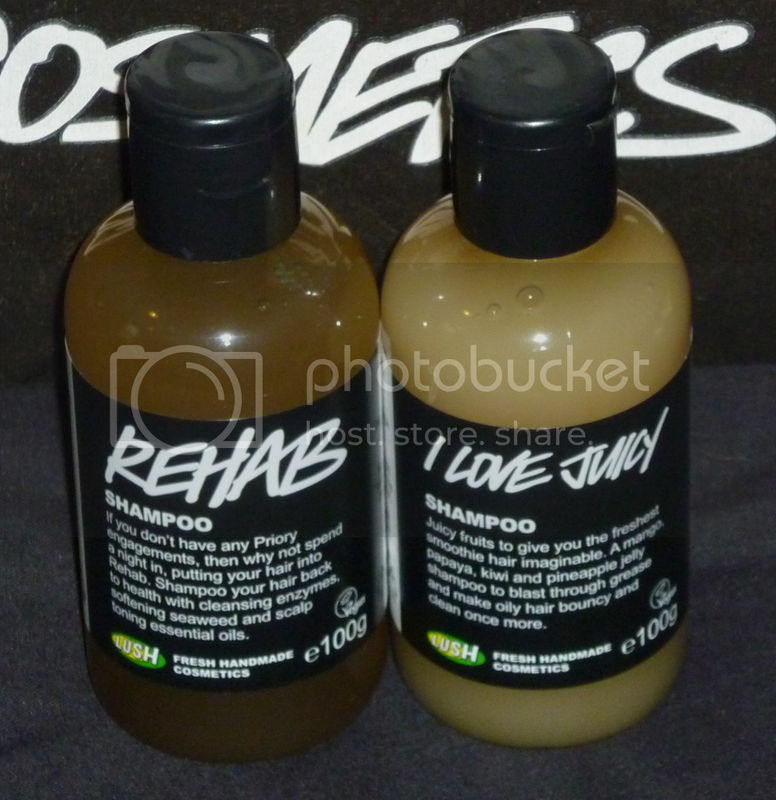 I went for I Love Juicy and Rehab. I've had I Love Juicy before and I LOVE the smell of this, it's so fruity! This shampoo contains lots of yummy ingredients such as mango, pineapple and kiwi fruit. Aside from the lovely smell, I bought this one as it's for those with greasy hair. Lovely! I also bought Rehab as it mentioned it was good for scalps and strengthening hair. I often get an itchy scalp and my hair snaps quite a lot so it seemed like a good choice for me. I've been using this one every time I wash my hair and it leaves my hair and scalp feeling clean and refreshed. I'm enjoying using this even though it doesn't smell as tasty as I Love Juicy! I fancied a shower gel so I went for It's Raining Men. I've had this before and I really love the scent. It smells like the Honey I Washed The Kids soap which is great! It's like a luxurious toffee scent with a hint of floral goodness. Probably not the best description there... hehe. Also, it's worth mentioning the scent lingers on your skin for hours after using the product which is nice. All three of these bottled products are 100ml and all cost just under a fiver. Lush seems quite expensive these days but it's great for an occasional splurge. 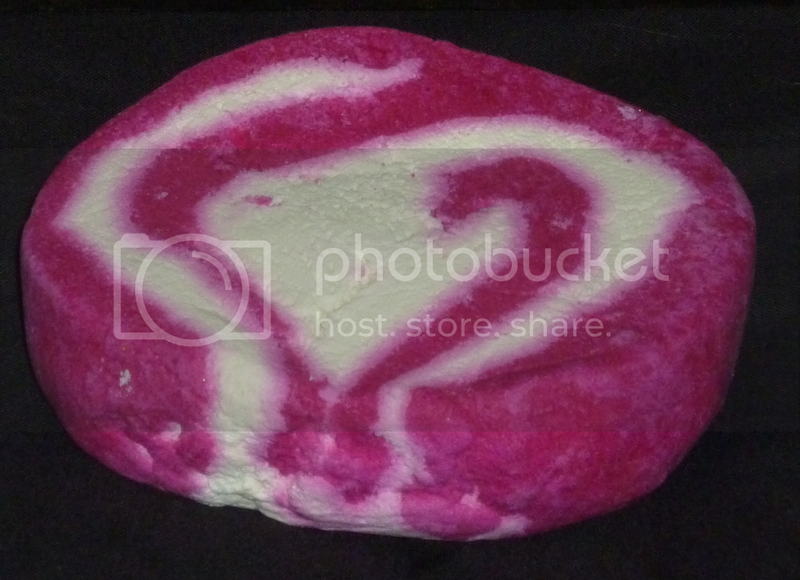 My last item is The Comforter bubble bar. Why had I not tried this before?!! You may notice a theme here but this smells AMAZING! It's like sweets, I almost didn't want to use this as I loved just sitting on my bed sniffing the bar! The bar was £4.15 but it is one of the larger ones and I reckon you could get quite a few uses out of this. I used one half at a time as I'm too greedy! This smells like the Sweetie Pie shower jelly so you might want to try this if you like the scent of that. 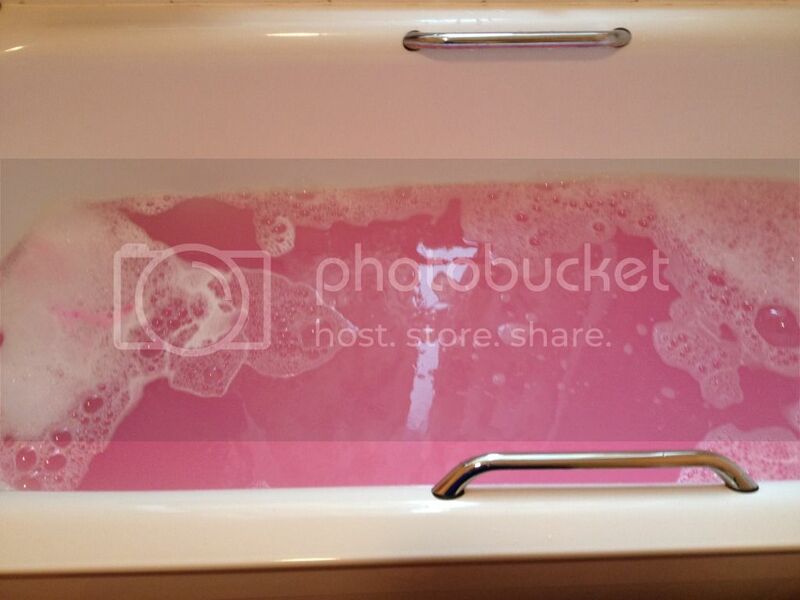 This product turned the bath a gorgeous girly pink colour and left my skin feeling super soft.